The Landing Ship Tank wreck in Subic Bay is on the eastern side of the bay and is home to a large number of fish, including one very large resident Grouper. 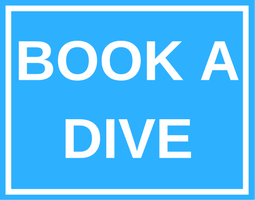 Due to it’s depth of 28-35 meters, it is only suitable for scuba divers holding Advanced Open Water Diver certificates. Landing Ship Tank is the name given to these large vessels built for use in World War 2 to provide support to amphibious operations and by landing tanks, trucks, artillery and troops onto unimproved shorelines. The initial versions were existing ships modified for British requirements. These vessels were incredibly valuable in transporting evacuating troops from Dunkirk in 1940, this demonstrated to the Admiralty the need for large numbers of ocean going vessels capable of transporting tanks, cargo and troops right on to the beaches. President Franklin D. Roosevelt and Prime Minister Winston Churchill met in New Foundland, Argentina in 1941 and confirmed the Admiralties belief and commissioned a joint effort to design a new and improved LST. The USA and Britain then worked together and designed the LST as we now know it. There were over 1000 built in the USA during War World 2 and 80 manufactured in Canada and the United Kingdom. 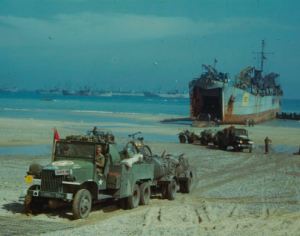 The ships saw service in the Soloman Islands, throughout Europe, Japan and the Philippines; the LST played out a large role in delivering troops and artillery in the D-Day Landings in Normandy. 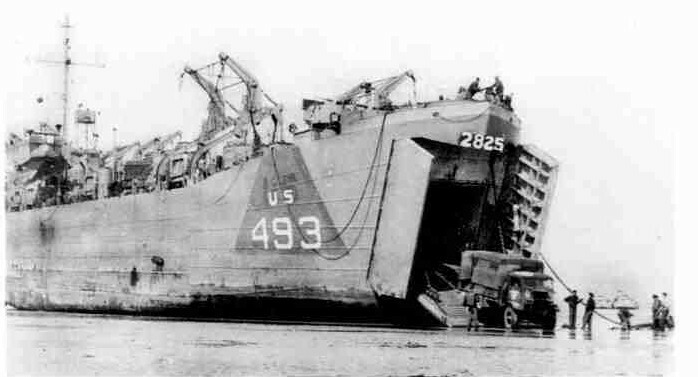 There were numerous versions of the LST constructed during World War, some were transformed into floating repair ships; large on board cranes were able to hoist Landing Craft Utilities (LCU’s) onto her deck and conduct repairs. Thirty Eight (38) LST’s were turned into small hospitals; they successfully transported over 41000 soldiers back across the English Channel in 1944. Many LST’s were also converted into accommodation ships and were fitted with large on board distilling plants to manufacture drinking water. British Prime Winston Churchill reportedly commented that the LST was an extremely wealthy commodity in very short supply.